Each sweep of data collection for a longitudinal study covers a range of topics. This section looks at the different ways in which data is collected, and the tools used to capture information about different aspects of life. This section looks at the instruments and tools used to capture information about different aspects of participants’ lives. Study teams choose the best possible survey instrument to collect the information they are looking for. Because longitudinal studies collect a broad range of information at each sweep, they require more than one type of survey instrument each time. 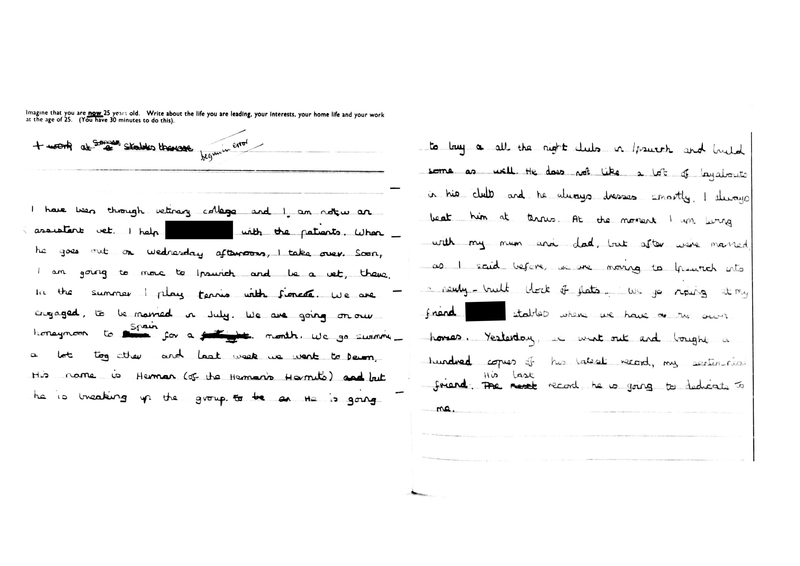 Most data collection instruments are completed by the study participant, but as we learned in the introduction to longitudinal studies module, information is sometimes collected from important people in participants’ lives as well. For instance, if the study participants are too young to answer questions themselves, the information will be collected from their parents. As the participants get older, the information they provide may be supplemented by information from their parents, siblings, teachers, school nurses, health visitors, partners or children. Otis Dudley Duncan is credited with saying “if you want to measure change, don’t change the measure”. This is a particular challenge for longitudinal study teams, which often need to balance the appeal of maintaining consistent measures over time with the need to ensure they are collecting the highest quality and most relevant information possible. For example, imagine a study team is particularly interested in looking at how blood pressure develops over someone’s lifetime and how it relates to different circumstances. In the early sweeps of data collection, they use the best technology available at the time, but at later sweeps they have the choice to move to a more advanced and accurate blood pressure reader that is now typically used on other studies. Changing to the latter would improve their data quality and help make it comparable with other studies, but could involve new costs (if they have to purchase the new devices) and will make it harder to compare their new data with those collected earlier using the older devices. A key way of minimising the impact of any change will be to identify or carry out calibration studies that compare measurements using the different machines. Most longitudinal studies collect a considerable amount of information from participants through survey questionnaires. They might be administered by an interviewer (either face-to-face or over the phone), or completed by the participants on their own (either online or using a paper questionnaire). The topics covered in the questionnaire will vary considerably depending on the study and the participants’ stage of life. A range of question formats can be used in a questionnaire, from simple yes/no questions to complex dietary diaries or calendars to capture the timing of different events. Many questions in longitudinal study questionnaires are ‘closed’, which means that they ask participants to choose from a pre-set list of answer options. Some questions are ‘open’ to allow participants to put their answer in their own words, either by writing it down themselves (if the questionnaire is being completed by the participant) or by the interviewer transcribing or recording them. Some studies ask participants to keep a diary to record more detail about how they spend their time or what food they have eaten. For example, the 1970 British Cohort Study and Millennium Cohort Study both included a time diary for participants (at age 16 and age 14 respectively). The diaries covered cohort members’ exercise, homework and social participation. The Southampton Women’s Survey asked participants to keep a 24 hour food diary during pregnancy (at 11 weeks gestation) and a two day food diary when their child was three years old. Studies are interested increasingly in participants’ mental health and wellbeing. As with cognitive assessments, assessments of mental health and wellbeing typically take the form of a set of questions that have been developed and tested thoroughly. Do you often feel miserable or depressed? Do you often get worried about things? Do you often get into a violent rage? Do you often suddenly become scared for no reason? Are you easily upset or irritated? Are you constantly keyed up and jittery? Does every little thing get on your nerves? Does your heart often race like mad? The participants’ answers are normally pooled together to create an aggregate score for psychological distress, however the questions can also be used separately. Other common mental health assessments include the Strengths and Difficulties Questionnaire, which is used to identify mental health problems and measure common forms of psychopathology in children and young adults. The Warwick-Edinburgh Mental Well-Being Scale (WEMWBS) is often used to assess wellbeing. It comprises 14 statements. 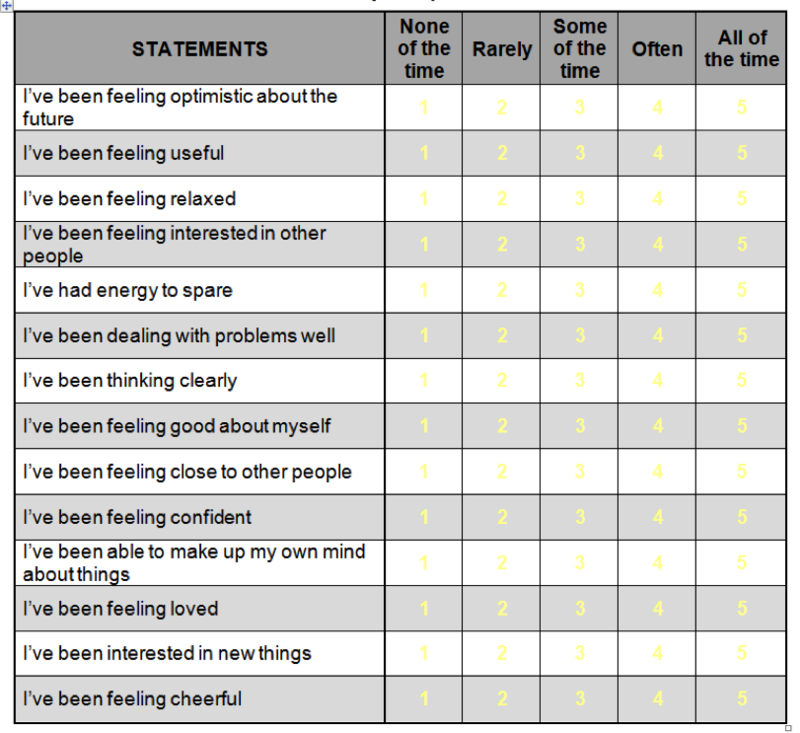 Participants are asked to indicate how often each statement reflects how they have felt in the past two weeks, on a 5-item scale from ‘none of the time’ to ‘all of the time’. Some studies also collect qualitative information from participants, either through in-depth interviews or open-ended questions. Qualitative instruments are often used when the information is difficult to collect accurately using fixed response options. For example, our understanding of participants’ social identities, their plans for the future, or their feelings about their neighbourhoods are all better understood through the participants’ own words. As you can imagine, answering open-ended questions such as this takes considerably more time and effort for the participants. As such, these questions often have lower response rates than closed questions. The 1958 National Child Development Study includes three substantial sets of qualitative information, collected at ages 11 and 50. Just over 13,600 participants completed the essay. The average length of their responses was 204 words. The children wrote about a range of different themes, including family, friends, domestic labour, cars, money, jobs, working hours, relationships and football. Further information about this study can be found at the UK Data Service. Nearly 7,400 participants answered the question. The average length of their responses was 57 words, but some participants wrote as few as three or four words, and some wrote more than 150.The answers covered a range of different themes, including work, money, travel, family, health and death. Just after the main interviews at age 50, 230 participants took part in a qualitative sub-study. In-depth interviews were carried out to capture information on neighbourhood and belonging, social participation and leisure activities, friendships, life story and trajectories, identities, and the experience of taking part in the study over time. The interviews were about 90 minutes long, on average.